Penelope "Penny" (surname unknown so far) is the female protagonist of The Big Bang Theory, and lives on the same floor as Sheldon Cooper and his roommate Leonard Hofstadter in apartment 4B. Penny was born on November 30 in Omaha, Nebraska. Since then, her goal has been to become a successful actress. Even though one could say that she is on the right path toward this goal, her efforts have not yet been crowned with success. In order to support herself despite this, she works in the Cheesecake Factory as a waitress. 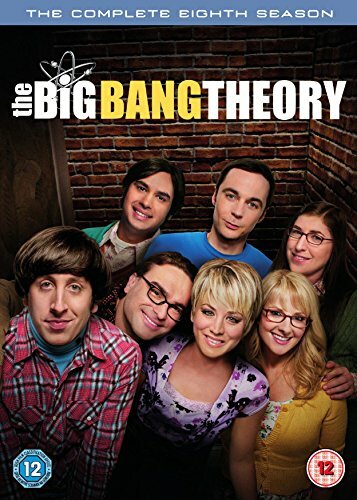 Apart from Bernadette Rostenkowski and Amy Farrah Fowler, Penny is the main female character in the show and appears already in the first episode. The appearance of the 1.68 m tall, long-haired blonde is completed by her green eyes. Her most distinguishing features are her hair, eyes, smile and breasts. Her wardrobe includes everything from casual sportswear, her Cheesecake Factory uniform to glamorous evening dresses. Independent of her wardrobe, she always manages to emphasize her distinguishing features even more with make-up and accessories. When Penny first meets the two nerds in the pilot episode, she was just working on a screenplay about a girl from Lincoln, Nebraska, who traveled to Los Angeles to become an actress, but then ended up as a waitress at The Cheesecake Factory. When Leonard asked her if the screenplay was based on a true story, Penny replied "no" since she came from a small town outside of Omaha and not from Lincoln. Leonard has had an eye on her from the start, since she moved in. At the beginning of the third season, the two are a couple. However, this relationship does not last long, as the two separate again at the end of the same season. Penny is the typical girl next door. Attractive, average intelligence, and without academic education. These characteristics provide a clear contrast to the above average intelligence, but socially inept, scientists. At the beginning of the series, the thoughts and daily lives of two nerds are completely foreign to her. However, she develops in the course of the series and even discovers an interest in science and the world of Star Trek and Co, so that, for example, in the third season she not only quotes dialogue from Star Wars but also becomes interested in the foundations of physics. Relatively little is known about the background of Penny's family. But what is known is that she grew up in a small town near Omaha, Nebraska. Furthermore, we know that her father Wyatt, who visits in the fourth season, is very unhappy about the fact that Penny was not born a boy. Some other relatives are mentioned, but have not yet been seen. Thus one learns, among other things, that Penny's sister shot her husband while drunk, and that she has a 13 year old nephew.